Looking for some inbound links to your vacation rental site? So are we! We would like to partner with quality property owners and merchants who would like to exchange links with quality anchor text. Do you use VRBO, Homeaway or Airbnb to market your property but would like your personal site to get more exposure? Us too! If you are looking for a vacation rental at Mount Snow VT for your next ski trip check out Basecamp @ Mount Snow. We can provide the HTML to copy and paste or we could provide a full blog post with images and would gladly provide the same in return. Obviously links from properties and merchants in the area would be ideal but anywhere in the U.S. would work. Not looking to exchange with marketing, spammy, sell sites. Strictly on the up and up. Contact us below with a few details and we will get back to you. Thanks. 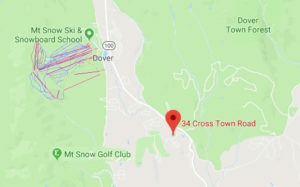 Vacation rental link exchange, travel blog link exchange, Skiing link exchange, Ski resort link exchange, VRBO link exchange, Mount Snow VT link exchange, How do I get backlinks to my vacation rental?, Free back-links.